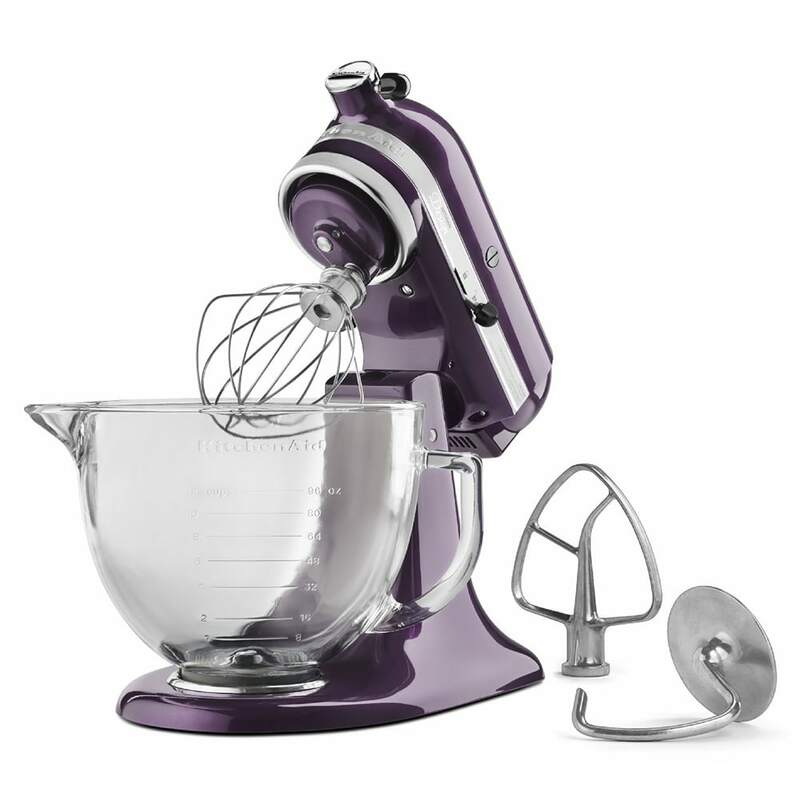 KitchenAid's KSM155GBPB Artisan Design mixer features a unique metallic Plum Berry finish and a glass mixing bowl that makes it a playful but powerful addition to your kitchen countertop. The mixer includes a wire whip, a flat beater, and dough hooks for preparing all of your favorite culinary creations and enabling you to explore new recipes. The KitchenAid stand mixer's tilt head design lets you quickly and easily place and remove the bowl. Artisan® Design Series 5-quart mixer, 10 speed, tilt back head for easy access to mixture, 59 point planetary mixing action, attachment hub, includes burnished flat beater, burnished C-dough hook, 6-wire whip, glass mixing bowl. 325 watts, 120v/60/1ph, Plumberry. Warranty not valid when used in commercial environment.